Mauritius is a small island nation located in the Indian Ocean, about 1,200 miles to the southeast of Africa. Mauritius is comprised of Mauritius itself, Rodrigues, and several outer islands including St. Brandon and Agalega. In addition to being known as one of the world’s top destinations for luxury tourism, Mauritius has also developed a reputation as an increasingly prominent tax haven. If you are an American expatriate living in Mauritius, or if you are planning on expatriating to Mauritius in the near future, don’t allow a mistake on your taxes to expose you to fines and prison time. Call Ted Kleinman of US Tax Help at (541) 923-0903 to set up a free and completely confidential consultation. Ted has more than three decades of experience assisting US expats all over Mauritius with a wide variety of highly complex international tax matters, including FBAR, Streamlined, the exit tax, IRS disputes, and the foreign tax credit. What Are the Consequences of Being a Covered Expatriate in Mauritius? The IRS designates certain expatriates as “covered expatriates.” Unfortunately, classification as a covered expatriate means that you and your loved ones could face some negative consequences. For instance, any gift or inheritance you leave to a child or other US citizen may be subject to tax as high as 40%, above the excluded amount of $14,000 per person, per year. As a covered expatriate, you may also find that you are denied future re-entry into the United States if the Attorney General finds that you expatriated for purposes of avoiding US taxes. Your net worth was $2 million or higher on the date you expatriated from the US to Mauritius. You could not certify, using Form 8854 (Initial and Annual Expatriation Statement), that you were in full compliance with all US tax requirements for the five years preceding your date of expatriation. Note that this certification requirement extends to include informational returns. Not only can failure to file Form 8854 result in covered expatriate designation – it can also result in the imposition of a $10,000 penalty. In 1970, Congress enacted the Bank Secrecy Act to deflect money laundering and improve transparency in banking. Part of the Bank Secrecy Act is called the Report of Foreign Bank and Financial Accounts, or FBAR. 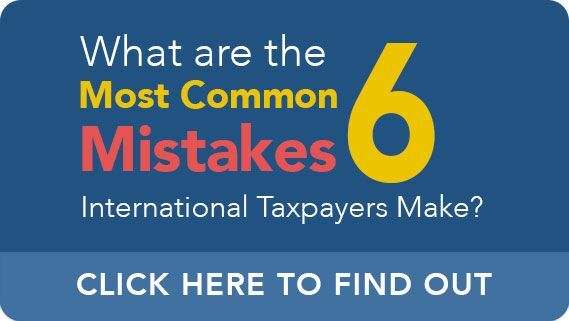 While FBAR was primarily designed to prevent acts of offshore tax evasion, the extremely broad scope of its few criteria happen to ensnare numerous expats. In many cases, American expatriates living in Mauritius don’t even realize they are subject to FBAR requirements until it is already too late. You are a US person with either (1) signature authority over, or (2) financial interest in, one or more bank accounts or financial accounts in Mauritius (or elsewhere outside the United States). The total value of the account or accounts exceeded $10,000 at any point in time, however briefly it may have been, during the year. If these two statements are both accurate, you are required to file an FBAR through FinCEN Report 114, which is exclusively available online via the BSA E-Filing System. The next deadline for filing an FBAR is April 15th of the following year but may be automatically extended until October 15th. 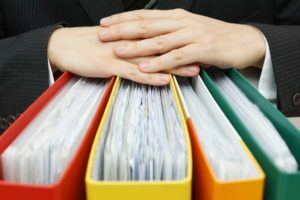 If you fail to file an FBAR, you risk devastating penalties – even if your failure to file was accidental or negligent. Civil penalties for non-willful failures to file an FBAR can be as great as $10,000 per violation, while civil penalties for intentional, willful failures to file can be as large as $100,000 per violation, or 50% of the account balance – whichever number is larger. Depending on the circumstances, the IRS may refer you to the Department of Justice for prosecution. If you are convicted, you face up to five years in prison and/or a criminal fine of up to $250,000 in addition to the $100,000 civil penalty. If you’re worried about a past failure to disclose income in Mauritius or other parts of the world, you should talk to a CPA about participating in the Streamlined Offshore Disclosure Program. Put simply, the Program is the IRS’ way of encouraging taxpayers to come forward and report concealed assets and income. By participating in the Streamlined Procedure, not only will you pay reduced penalties – you will also minimize the risk of facing prosecution, criminal fines, or prison time. 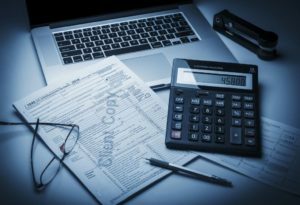 Whether you have a simple question about credits and deductions, need assistance making a disclosure or disputing an IRS debt or penalty, or need to get your taxes in order before departing for Mauritius, CPA Ted Kleinman is here to help you resolve your matter as quickly and efficiently as possible. To arrange for a free and confidential consultation with Ted, call US Tax Help right away at (541) 923-0903.